Fable 3 is set to be unveiled next month according to RPGSite.net. A Lionhead staffer said the game would be unveiled at an event next month. GDC doesn't take place until March this year, so it won't be unveiled there like Fable 2 was. Perhaps there will be a special event for people to get a glimpse of the game at? Microsoft also confirmed a 2010 release date for the game in its press releases for CES 2010. The game is listed alongside some other big titles to release this year like Halo Reach, Crackdown 2, and Alan Wake. 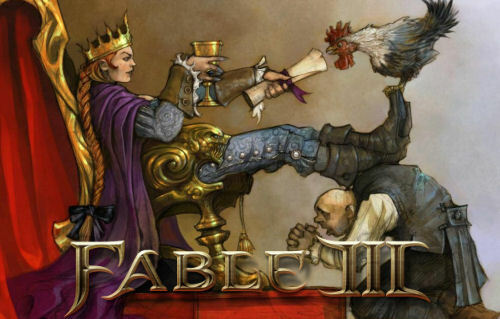 The main focus of Fable 3 is your rise to power as a ruler of Albion, and like any Molyneux game, you'll have the choice of whether or not to be a good or evil ruler. With the reveal next month, and a release later this year, it'll only be a matter of time till we find out what kind of cooperative play (if any) we'll be getting with Fable 3. Lets hope Lionhead has listened to community feedback from Fable 2 and given us a much tighter co-op experience.